Sabretooth and Datacult deliver two impeccable remixes from our latest BMSS album by The Key. Sabretooths remix is like rocket fuel, accelerating the original tune and speeding it up to a Psytrance Goa monster. Datacults signature Technodelic take on Progressive Trance pulls the groove deeper, delivering the sound he is known for. 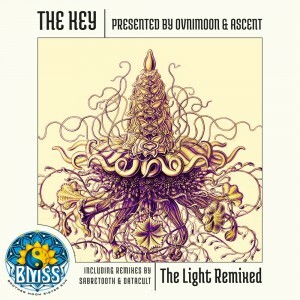 Created with powerful emotions and an innovative vision, Ovnimoon and Ascent come together with brilliant technical precision now remixed by two members of the BMSS family.